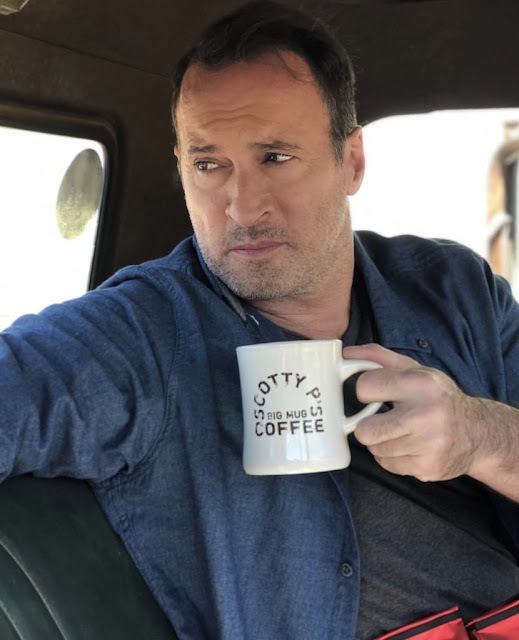 Many of you may know Scott Patterson from the hit show Gilmore Girls. I personally have never watched the show, but have often heard friends speak about his character, diner owner Luke Danes from the popular show. The character was always known for his coffee. The popular show ended in 2007, but Scott's popularity continues to rise, even today. 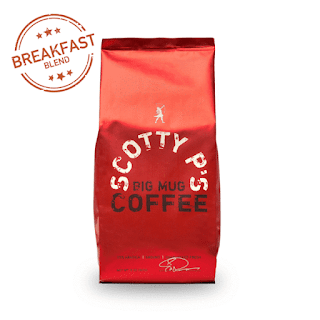 Scott recently started his own line of coffee called Scotty P's Big Mug Coffee. I received a sample of Scott's coffee and I have to say, it is an extremely good coffee. There is no bitterness at all. It is just a good, smooth blend of delicious coffee. I highly recommend it! I got the chance to interview Scott about his coffee line, and what he's been up to lately. 1. Many knew you from your character, diner owner Luke Danes from Gilmore Girls. What have you been up to since the show ended it's run? A. I did a few other series, took some time off to start a family. I have a son now. I recorded an EP (2 singles off that EP debuted at number one on iTunes Indie Rock Top 100 Chart), started a coffee company. I like to keep busy. 2. Congrats on your new son! Sounds like you've been pretty busy! Luke Danes was known for his coffee. 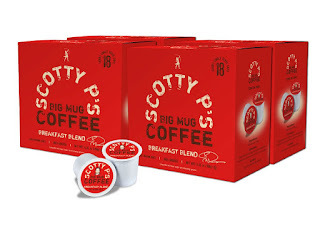 Is that what prompted you to begin your own line, Scotty P's Big Mug coffee? A. Partly, but it was really the connection I have with my mom. I am the man I am today because of her belief in me and my ability to accomplish anything I set my mind to. She passed in 2008 and it still hurts. Remarkable woman. On the one side she was the most loving, caring person you could find, and on the other side she didn’t take crap from anyone and whoa be unto them who cross her. She got up and went to work every day until it broke her. At night and weekends she would read. She devoured books. Best story teller who ever lived. Funny, smart, compassionate but didn’t suffer fools. My friends use to come over after school to talk to her, lay their problems on her. She’d feed everyone, listen and then start telling stories pertaining to their particular issue. I got my backbone from her. There is nothing on earth stronger than the heart of a woman. My mom proved that to me. 3. She sounds a lot like an amazing woman and how my mom was. Your coffee line has taken off quickly since it was first introduced in December of 2017 and I understand will soon be available on Amazon. Will you have the full line available there or just particular products? A. I offer Breakfast Blend, French Roast, Hazelnut, French Vanilla and Decaf in 12oz ground. I offer Whole Bean in 2 pound bags in Diner Blend and French Roast. I offer Kcups in recyclable cups in Breakfast Blend and French Roast. All are available at SCOTTYP.COM and we should be back up on Amazon in a few weeks. We sold out very quickly when we debuted on Amazon during Thanksgiving 2018 and that surprised us. They picked up a few truckloads so we thought we were good for a while. Two weeks later we were sold out! Lol. I have the best fans and customers in the world and I am a very lucky man. The support is incredible. We are growing rapidly, expanding into the Office Coffee Space and soon retail. 2019 will be an exciting year in terms of growth and market strategy. It’s fun. 4. Wow, that's fantastic! What makes your coffee different from other's on the market today? A. My coffee is different from all other brands because it’s genuinely smooth, rich and packed with complex flavor. There is no bitterness. I’m offering a specialty coffee at a mass market price. Combined we have received thousands of reviews and they are all 5 star and above. People want to give it 10 stars they are so enamored with the taste. Not a single 4 star review. Not one. I’m very proud of that. I have an incredible team and we are making it happen. When we are all about to keel over from exhaustion I whip out the reviews and start reading them aloud and this lights a fire in everyone. Those reviews make us feel good because people are happy and that makes us happy. My customer service is best in breed, as well. Very proud of that. My philosophy is the customer is always right. If we screw up then I take care of them and they appreciate it because nobody does that. I care. We care. We want your family to enjoy our coffee and every aspect of the experience of ordering and interacting with us. It’s crucial. 5. I have to agree with the ratings. I tried the coffee and it is fantastic! What are your future plans for Scotty P's ? A. So many plans for Scotty P’s Big Mug Coffee. Gosh. Ski charity events, 5k charity events, etc. One thing that excites me the most is giving back and through these events we will be able to do that. It’s also a way to have real contact with people at these events and that’s the best part - the folks. I love the interaction and the exchange, and doing that while giving back is a win-win for me. That's wonderful to hear! I wish you all the best in the future and thank you for taking the time for this interview. This Valentine's Day, go red with Scotty P's coffee! Visit Scott's website https://www.scottyp.com/ if you are interested in trying his coffee line, or giving it as a gift. If you are a business of any size, you can contact their customer service at support@scottyp.com to purchase as well. 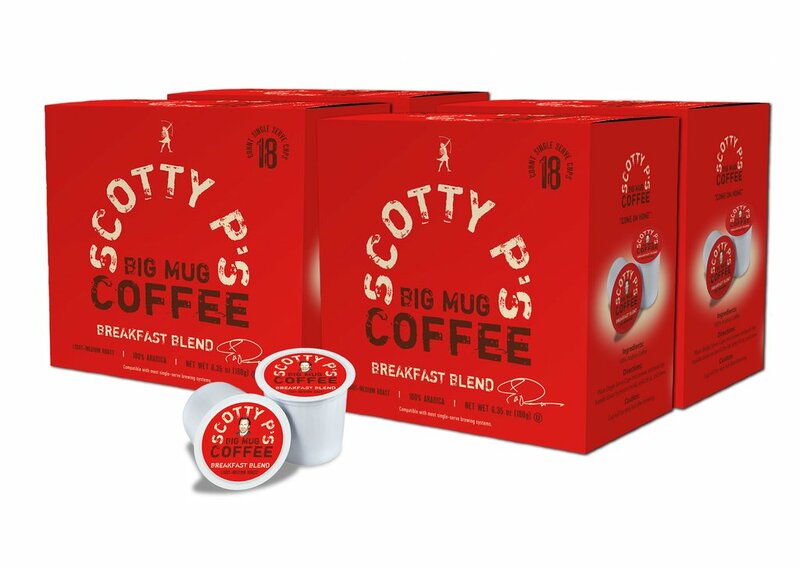 Keep an eye on Amazon for Scotty P's coffee line as well. It should be back there soon! Disclosure: I received a sample of coffee to review for this post. All opinions expressed are based on my own personal experience. What! I love Gilmore Girls. I didn't know that he has a coffee line!